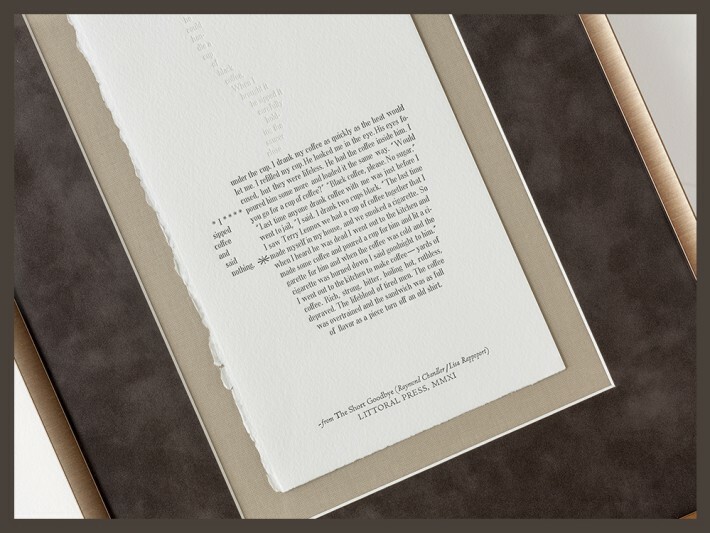 Custom framing for original letterpress artwork - Panorama Framing, Inc.
Metal. Suede. Linen. Letterpress. What’s not to like? 🙂 This original letterpress piece is one from an entire book by Lisa Rappoport of Littoral Press! Custom framing by Panorama Framing in Oakland.